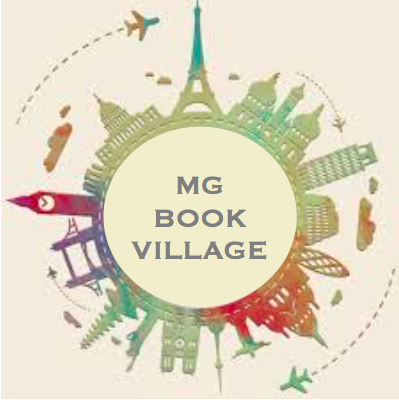 A big THANK YOU to Diane Magras for choosing the MG Book Village to host the cover reveal for The Hunt for the Mad Wolf’s Daughter, the highly anticipated sequel to her debut The Mad Wolf’s Daughter! If you haven’t read The Mad Wolf’s Daughter yet, I can’t recommend it enough. You’ll be torn between wanting to race ahead to see how each dramatic scene unfolds and wanting to linger to enjoy every one of the crisp, powerful sentences — and you won’t be able to get enough of Drest, the Mad Wolf’s daughter herself. Read the interview below to learn about the new book and the creation of its cover, and stick around, of course, for the big reveal! Thank you for stopping by the MG Book Village, Diane, and for choosing us to host the cover reveal for The Hunt for the Mad Wolf’s Daughter! Before we get to the cover, can you tell us a bit about the new book? Does it pick up right where we left Drest? The Hunt for the Mad Wolf’s Daughter begins a few hours after the first book ends, throwing Drest into a very personal battle when she learns that a price has been put on her head. Sir Oswyn, who has taken over Faintree Castle, claims that Drest had murdered the young Lord Faintree. He’s singled out Drest as being more dangerous than even her brutal father and her fearsome brothers. She’s not proud of that, though; it’s a terrifying consequence of her legend. But being what she is, Drest doesn’t accept her father’s solution to run and hide. She plans to somehow gain back Faintree Castle for her friend the young Lord Faintree, who is the only one who can remove Sir Oswyn’s sentence. But she’s up against a whole castle army that’s after her and her family, and one of its knights is close on her trail, eager to win that generous price for her head. Wow! I can’t wait! Had you ever written a follow-up novel before? Was the experience at all different from writing THE MAD WOLF’S DAUGHTER? This is my first experience writing a follow-up novel, which happens to be both a second and final book in a series. So I needed to not only draw upon the characters and conflicts of the past book, but conclude everything as well (leaving a handful of loose ends, just because that’s life!). This book could also be read as a stand-alone, so I needed to summarize what happened in the last book and who my enormous cast of characters are. I quickly realized that it’s just like starting a new novel of a new world, using the same techniques of summarizing past experiences amidst the action. And so I begin the story with a tense moment, swiftly capture the relationship between the first characters whom the readers meet (Drest and Emerick), and launch into the conflict at once. Did the same artist do this cover as did the last? Yes, I’m honored that Antonio Javier Caparo created the jacket art for this book too. I love how he captures the style of my storytelling with his own interpretations of Drest and her world. And I love his attention to detail. If you look closely at my cover, you’ll see the subtle touches that make the characters come alive and their clothes, weapons, and surroundings look so real. Here at the Village, we’ve been trying more and more to give readers behind-the-scenes peeks of the book-making process, at all stages. Can you talk at all about the work of art designers, and in particular the work your designer did for your book? The art designer for my covers, Maggie Edkins, was involved from the very beginning. She had a sense of the kind of feel that Penguin Young Readers wanted the art for The Hunt for the Mad Wolf’s Daughter to have, and shared that with Antonio, who then sketched his vision for the cover. Then he and Maggie went back and forth over little matters up to the final sketch. Antonio performed his magic, added his signature details, and made the art come alive (I’ve watched a few of videos of his artistic process for other works, and I still find it staggering). Maggie also hand-lettered the title for both this and the previous book. I’m a big fan of her work too! Were you at all involved in the process? I’ve been a sidelines participant in the cover art process, suggesting details (such as dirt on all the characters’ clothes, and making sure that Drest is depicted as left-handed), and sharing my reactions. I’ve been very lucky to have the chance to look at each sketch. I’m grateful for this input (I know that keeping me in the loop was an extra step in a very busy process) because I pay a lot of attention to cover art. I regularly chat with kids and librarians about what attracts my readership and what doesn’t (I put together a focus group with questions like this for the first book), so my feedback isn’t just my personal feelings (though my personal feelings did sneak in now and then!). What was your reaction when you saw the new book’s cover? Is there anything else you want to share about the role of covers more generally? A middle grade cover is a reader’s first introduction to a book. It’s a book’s face, and also a visual representation of the story. Within seconds, it tells the reader what they’re about to experience. Cover art can be witty, humorous, beautiful, intense—and it’s art, just like what you see in a museum or in a frame on someone’s wall. But cover art needs to do more than framed art: It needs to not only grab the viewer but also turn that viewer into a reader. That puts tremendous pressure on cover artists. Their work serves as one of the most important pieces of marketing a book has, and can determine that our books are picked up in the first place—or not. Thanks for the interview. I hope everyone loves my new book’s cover as much as I do! Well, how about we let them see it?! Thanks again, Diane!